.....already, didn't hot pursuit come out like 6 days ago? All I Ask Is 1) Better Graphic Customisation 2) Less 'Weighty' Handling and 3) Pro-Street Style* Damage. *Pro-Streets damage was not supurb, but it tried, with realtime damage and some pretty good effects, it just failed in some areas. I liked the 1st Shift, so this should be interesting when it comes out next year. WOW! Nice, but why 2011? Anyway, hope they include my MX-5 and get the license for Peugeot to get the RCZ! Time Attack drift and grip, ths Shift 2 will be mine ! added some pictures from an interview, i didnt cut away the text, because i thought the pictures would be to small. Why Cant add new game with cars ? sandwad wrote Do you think the cars will come in stock form? If it's anything like the first Shift, then yes. I assume these cars are all race modified. This is a must have I´ll buy it as soon as i can! I just added the tracks...trully amazing list! Anyone had already planned to make the pics for Shift 2 once its released? Because i want to, but first, i want to know that before. I am planing to take shots. I would let you know if i have some problems with capturing cars to you take shots. Surely I`ll take the Wii version of it. Had the idea of doing same for Hot Pursuit, but poor quality of model made me think as useless doing it, hope Shift 2 will have better car models for the Wii. Added two cars - Lamborghini Reventon Hot Pursuit Edition Cop Car and Pagani Zonda Cinque Hot Pursuit Edition. It`s a nice surprise EA let us have the joy riding these in Shift 2. This increased my interest into really buying it ! Strange things happen here. I don`t have memory loss, I really submitted Lamborghini Reventon Hot Pursuit Edition Cop Car and Pagani Zonda Cinque Hot Pursuit Edition, but it now says jumanji uploaded them! Possible he uploaded them earlier? he submit them before you. I hink that jumanji take the pictures himself but it's not the case. So if someone can take directly pictures, he can replace them. Mark0, when do you intend to make pics? Or better said, when you´ll get the game? 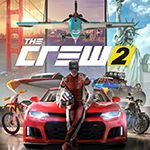 Has the full car list been released? 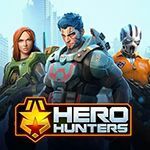 There are 3 new trailer! THATS GREAT. Fantastic. Does all 3 DLC coming to PC? Pfft, they've just released the game and already they are offering a slew of DLC's? Apparently they were found in the video files for the PC version, so it's not been formally announced yet. I just got game pictures coming on Sunday or next week. Hey J-2 how to post pics? Put in comment or add it via 'add a vehicle' button and admin will delete old ones? Thanks! Shift 2 review will be up on DGP soon. Not sure what to think of the handling yet, don't think it works as well on a wheel. Some tune is needed on the options menu. It makes a huge difference. Just unlock all cars( there are two Hot Pursuit cars, limited edition cars and Dr.Pepper Camaro) . Pictures coming this weenend. And J-2 how to post pictures. In comment or add them via 'add a vehicle' button and you are gonna delete old ones? For me it's easier to post them via 'add the vehicle' button and any of admins can delete old ones and verify my pics. Mark0 wrote Just unlock all cars( there are two Hot Pursuit cars, limited edition cars and Dr.Pepper Camaro) . Pictures coming this weenend. And J-2 how to post pictures. In comment or add them via 'add a vehicle' button and you are gonna delete old ones? For me it's easier to post them via 'add the vehicle' button and any of admins can delete old ones and verify my pics. 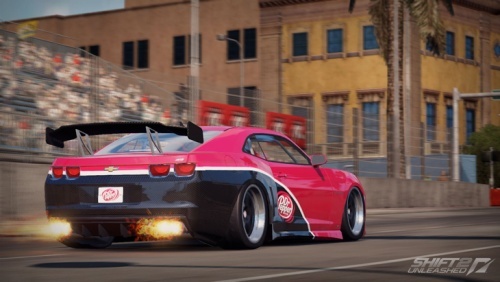 Question: How does the Dr. Pepper Camaro look? I've yet to even hear of it! If i remember correctly* it's purple(or rose or some variation of red) it has rear spoiler and black part which is going between rear wheel and middle of door. *i just unlock it today before school and i have quick look at him before i shut down my PC. You get detailed description when i come home. Mark0 wrote If i remember correctly* it's purple(or rose or some variation of red) it has rear spoiler and black part which is going between rear wheel and middle of door. I am gonna to upload some cars. I will add them via 'add a vehicle' button. So admins can delete old photos and verify my. Legends Pack is out now. Ritsu Tainaka wrote Legends Pack is out now. I did not play the first game, but I think the graphics are the same as the last game and the car list is average and all the cars are ruiend with modifications. I think NFS should stick to cops and street racing and let games like forza make good, simulation driving games. There's last 5 cars for Third DLC. i found these files in PC Version. The Shift 2 DLC is now available on PC. Pictures coming tommorow. Sorry for waiting. Team Need for Speed Porsche 911 RSR (Legends Pack) is missing in this page. Riviera is set in Monaco, not USA. Why the car makers let their cars being damaged so highly? Won't that make the cars feel un-safe? Rear and Interior pictures comming tomorrow. Mark0 wrote Rear and Interior pictures comming tomorrow. these cars look nice for a amazing game! Okay, so I know this game is a little old now, but I'm looking for a time-buyer game and I liked Pro Street and though I didn't exactly, enjoy Shift, this one looks a little more promising. So, should I buy it and give it a bit of a throw around? To much dlc for me sadly , all the cars i wanna drive are dlc and xbox live does not work for me . Full name is Need for Speed Shift 2: Unleashed. Burn Rubber wrote Full name is Need for Speed Shift 2: Unleashed. 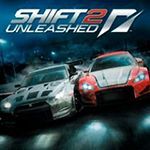 Actually, for this game they sort of split the franchises; this one is just called Shift 2: Unleashed. Despite this, the Need for Speed logo still appears on the front cover for reasons. It does say Need for Speed on the front though. The game already pops up when you seach "Need for Speed" so there's no reason to do that. Green Runner wrote I wanted to Install old games on my old Laptop, Is this or first one need anymore pics ? mmmm..... , I cant find Photos I taked from SHIFT 2 in game's file, first SHIFT need EA access for Photo mode, but SHIFT 2 doesn't need. Green Runner wrote mmmm..... , I cant find Photos I taked from SHIFT 2 in game's file, first SHIFT need EA access for Photo mode, but SHIFT 2 doesn't need. (Sorry, I dont know how send image directly) ,It was expected from a Russian repacker . Oops! That's a weird error message. Send this error to chesty's profile or any of his comments and see how he likes it. He was joking, I didn't want to do that . It's the joke. What else would you do when you have nothing to do? Finding something positive and beneficial to you or others to do, right.